Oakley has become a brand whose name and designs are instantly recognizable, and it is synonymous with innovation and design performance. Oakley attained this popularity by designing and engineering sunglasses that are built to satisfy the performance needs of athletes from nearly any discipline. From the iconic Flak Jacket to the newest releases, Oakley lives up to its promise to provide High Definition Optics®, all-day comfort, innovative lens technology, and one-of-a-kind performance-enhancing frame materials. These are my new favorite sunglasses. I have many pairs of Oakley sunglasses, and these by far are my favorite. The fit is perfect, vision is clear, everything about the glasses I love. Shipping was a little slow due to out-of-stock, but was received prior to the estimated delivery. I purchase all my sunglasses from FramesDirect.com. Great customer service, they just should tell customers that items are out of stock prior to the order being placed. FramesDirect.com provided me with a hard to find product, at a discount, and maintained good communication while it was on back-order. The Oakley product is everything I expected and hope to come back for a prescription pair soon. Keep up the great work! Great pair of sunglasses for everyday use. The rubber grips on the temples ensure a non-slip fit to reduce the need to push them back up. The polarized lenses live up to Oakley's high standards. 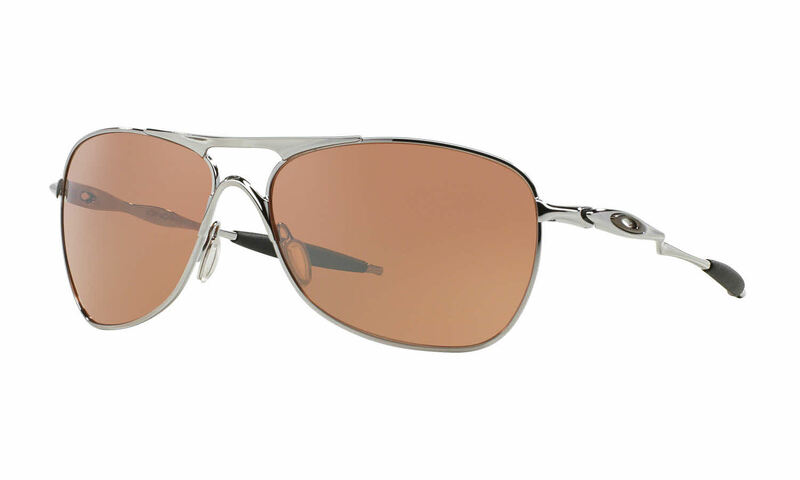 These work wonderfully on the sunny snowy days, reducing glare and eye fatigue while outside.